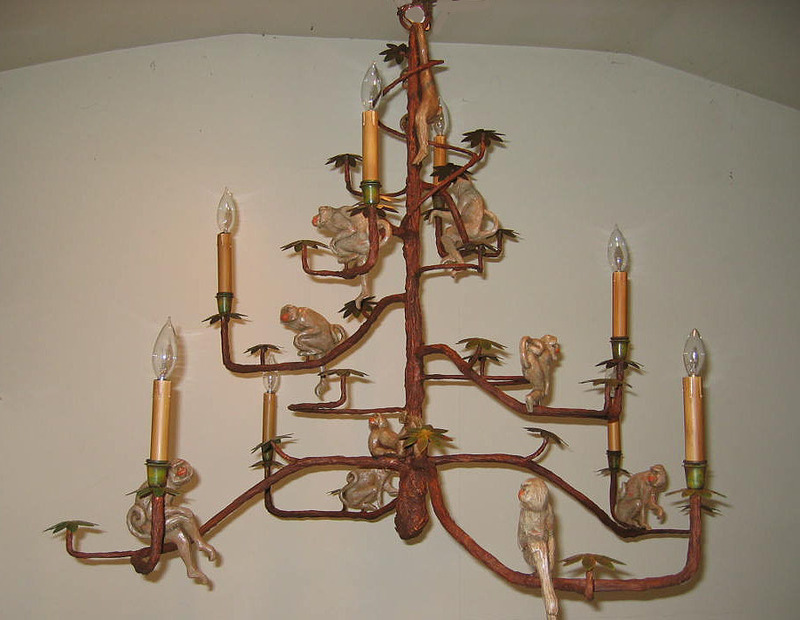 Description: 8 lights and 10 small monkeys make up this whimsically styled tropical chandelier. Takes 60 watt bulbs and has drip candle covers. Resin &steel. Shades extra.